Previously on Legends of Tomorrow: The Legends reset Constantine's history after a wild mid-season finale while Biff Hank orders that "Project Hades is go..." Whatever that means. Back at the Time Bureau, Ramona and The Kaupe are the on the loose after escaping from the containment facility (with a little inadvertent help from a mysterious new set of mercenaries). Ramona and the Kaupe represent two of this season's more prominent additions to the cast and this episode spends a lot of time with each of these characters. Expect to learn more about Ramona's background (her parents are in the episode) and to also learn much more about what makes the Kaupe tick. As previously teased in the promos, this episode will feature a large set piece in a Mexican wrestling tournament that turns out to be quite a bit of fun (complete with Wilhelm scream). On top of all the action, plenty of worthwhile character development is accomplished throughout this episode (which is a definite combinatorial strength for this show). Unfortunately, I found myself flashing back to the absurdly cheesy days of Curtis the Caveman on Disney Channel's Phil of the Future every time the Kaupe was on screen. Have any thoughts on the Kaupe? Let me know in the comments below. Back at the Time Bureau, Ava struggles to cleanup the mess created in the wake of her short absence from the facility. It turns out that while Hank is more than happy to provide the bureau with its apparently necessary budget requirements of over $4.2 billion a year, he is not planning on doing so without significant amounts of supervision. Expect to see Hank continue to criticize the operations of the Time Bureau and its (more specifically Ava's) close working relationship with the Legends. I very much enjoyed the segments of this episode dedicated to the Time Bureau's disfunctionality and Hank's attempts to intercede in its day-to-day operations. This episode will also give more hints about the goal of the aptly-named project Hades and why Hank is so keen on micromanaging the entire bureau. In a separate part of the episode, Nate and Zari get to go on a small adventure while raising money for the American Hemophilia Foundation. While this subplot certainly seemed like a small side quest in comparison to the fugitive wrestling matches and bureaucratic nightmares, something tells me that this is the storyline to keep an eye on for hints about the remainder of the season. Rating: 7.9/10 - As usual, the Legends screw everything up in clever and ridiculous ways. The Kaupe doesn't work very well for me personally and I certainly can't proclaim it their strongest episode, but all the normal elements of a fun hour of Legends of Tomorrow are there. The teases for the second half of this season are aplenty and it looks like it's going to be a bumpy ride for the Legends, but an entertaining one for viewers. Also, whether you are a fan of the Kaupe or not, you definitely will not want to miss the ending to this episode! 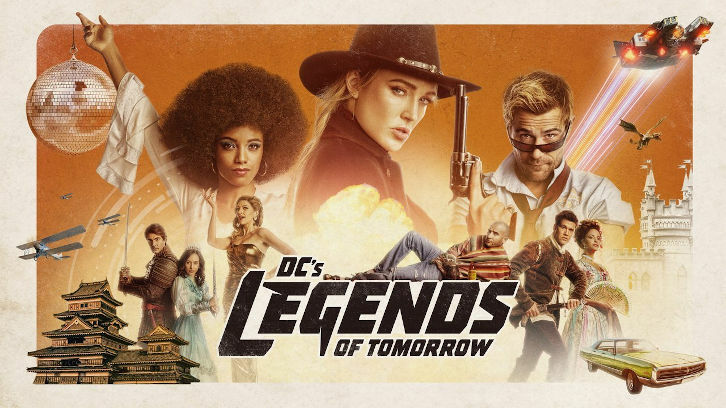 Tune in to Legends of Tomorrow's midseason premiere on Monday, April 1 @ 8 pm on The CW. Be sure to come back here to SpoilerTV to let everyone else know what you thought of the episode.